Preheat oven to 400˚F. Stir together hummus and pesto. Scrape into 4-cup baking dish; smooth top. Top with tomatoes and sprinkle with Parmesan cheese. Bake for 15 to 20 minutes or until heated through and tomatoes are softened. 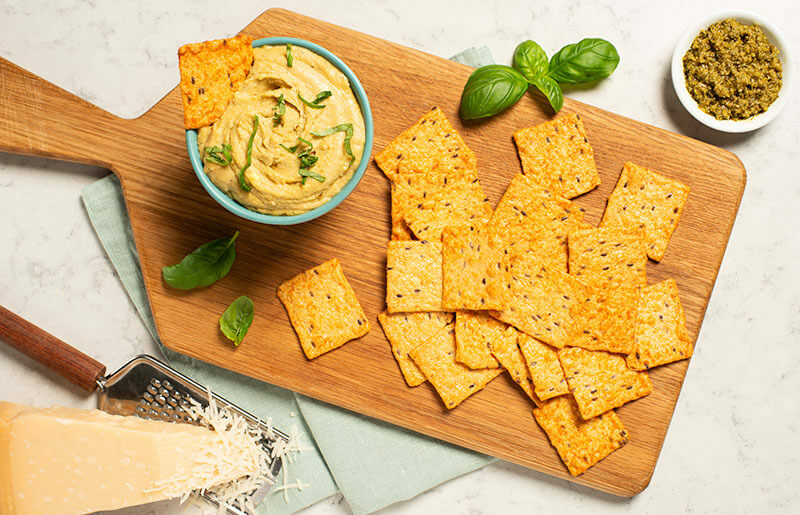 Sprinkle with basil and serve with crackers. Tip: Sprinkle with fresh chili peppers for a spicy addition.